The Glenfiddich 15 Year Old Distillery edition has been matured for 15 years in American oak and European oak casks, including traditional Oloroso sherry casks. 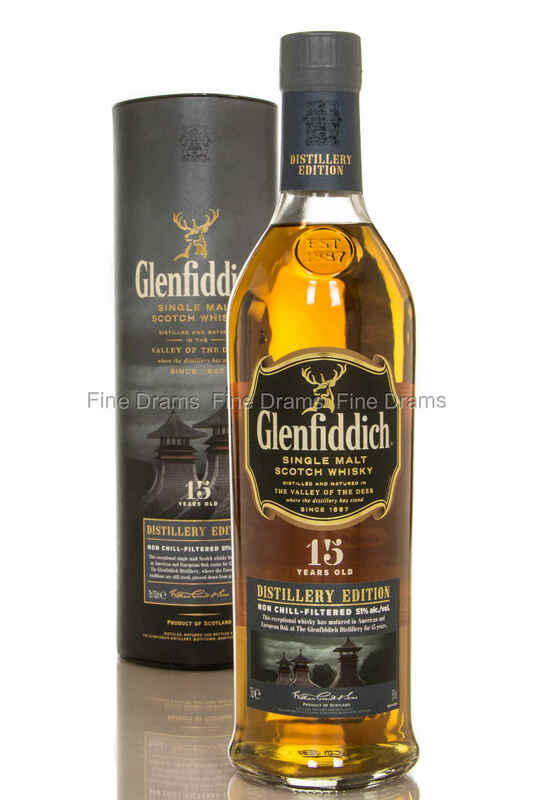 Unlike many other readily available Glenfiddich expressions, the 15 Year Old Distillery edition is bottled at 51% ABV, and is not chill-filtered. So if you want a more bold Glenfiddich expression, this is most definitely for you!